The Shorter Poems of William Wordsworth. by Wordsworth, William. 696 pages. Pictorial jacket over green boards. Some pencil annotations to endpapers. Neat clean pages with light tanning and foxing to endpapers and page edges. Cracks to hinges, text pages tight. Small bumps to corners. Few dog eared corners. Finger marks to page edges. Softening to spine. Light water marks to spine, boards and edges. A few marks, wear and bumps to spine ends, boards and edges. Small bumps to corners with bumps to boards edges. Fair wear to dust jacket with tears, nicks and creases to the spine, edges and corners. Insect damage to rear of jacket. Foxing and tanning to jacket with light water marks. 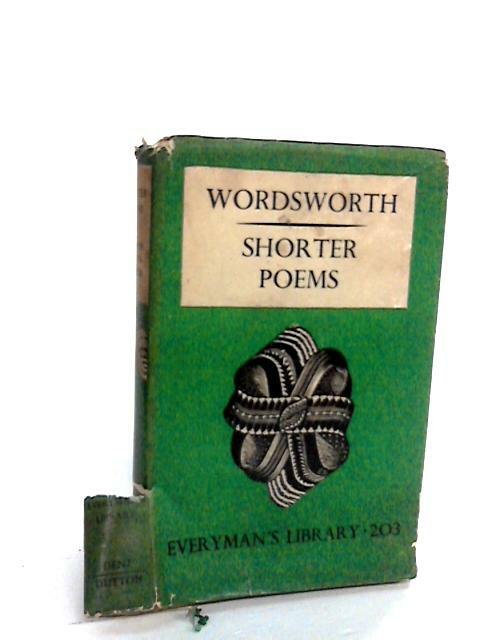 The Shorter Poems of William Wordsworth.